...I went to see "Water for Elephants" this past Monday. I've said in the past that I have sometimes gone to see a movie based on a book without having read the book. But in some cases, I did not know about the book. (Read here). I've seen the book at stores recently, both with the original cover and with the reissued one showing the actors from the film. I'm now not so sure if I should read the book, but I guess I can. 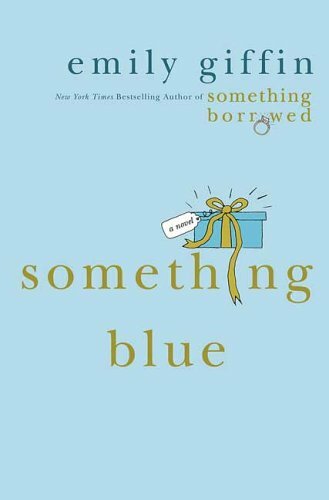 I'd been planning to read "Something Borrowed" for several weeks but put off getting the book until two weeks ago. I'd seen the "Water for Elephants" books and wasn't sure if I was going to see that one. I obviously wasn't going to be able to read both at once, so I didn't plan on seeing "Water for Elephants." But I got invited to see it, so I decided to do do. I got invited to go and see it by another person this Saturday but am not going to make it. It was pretty good, I thought. I think that just about says everything. It was just on the evening news show on my local NBC station and they just announced they will be covering the wedding staring Friday at 1AM. Thank goodness I'll be asleep then unless I wake up unable to sleep. If that should happen and I must turn on the TV, my Fox station carries "Friends" reruns, which I often turn on if I find myself unable to get any sleep at that time of day. Looks like I'll be avoiding the TV most of Friday. And after the event ends on Friday, expect no comments from me. Funny that I have never eaten the green ones. I mostly eat the yellow ones. I still send out bills by mail as I am too insecure about online paying. And I believe in the US Postal Service. I also get DVDs from Netflix since I have no way of instant watching. But like most people, a lot of the stuff I get in the mail is ads and other unsolicited mailings. Credit card applications. Envelopes of random coupons for car washes, yard services and such. Weekly circulars for grocery stores, which I like to keep each week so I can see what is on sale at what store. But today I got something really random. A passport cover sent from Alberta, Canada. I have no plans to travel abroad anytime soon and can't afford to do so, so I never ordered any passports, let alone passport covers. Has anyone ever been sent such a thing without having ordered one? Above is a shot of the cover and below are shots of the inside. On the left-hand side in the green block it read. "This is why you have a passport." The green block on the lower-right-hand side gives the website address albertaisfortravleres.ca. I typed in this address but got redirected to this link. The return address referred to the sender as Travel Alberta and that it's located in Edmonton. This was so weird! Not sure how much agree with this one. I only picked that one becaise I liked the colors in that one the most. You are easygoing and carefree. You like to hang loose whenever possible. Your natural state is to be relaxed. You think feeling stressed out is never worth it. You have steady and unwavering energy. You are a person of great endurance. Quiz: Are You Creamy or Chunky Peanut Butter? You are organized and together. You don't just like structure - you prefer it. You think of yourself as regular gal or guy next door. Your life may be nothing special, but at least it's yours. A few months ago at Target I was looking for some books to buy. I don't use that electronic reading device because I can't afford one and I already spend too much time staring at screens. I'm still sad my old Macintosh (pre-Intel-based) won't let me watch movies instantly through Netflix but that would just make me stare at computer screen more than I wish to (enough about all that for now). but didn't want it to be one of those I saw without reading the book first. A few times I saw a movie without even knowing it was a book first. But since I knew in this case, I kept making plans to get the book to try reading it before the film comes out. I will begin reading it this coming week sometime, with the hope of finishing before May 6. I had a gift card from Barnes and Noble from some time ago. I recently checked the amount and saw that I had Something over $6 left. I'd put off trying to obtain the book until yesterday. I went to the B&N store in Gilroy, California, where I work; I live in nearby Hollister where there are no bookstores, just Target and Kmart as book options. Unfortunately, the book was only available in the new cover, the common practice of reissuing a novel with photos of actors from the movie on the cover, as seen in the photo on the right. Just my luck I saw a copy of the novel at Target today with the original cover, ironically placed alongside the one with the movie cover. The one with the movie cover at target was larger than the one I obtained for B&N, and Target charged more for the larger book. The smaller one I got from B&N was cheaper. Below is the original cover of the book. Every time a holiday approaches, I find myself wanting to buy some of the candy that is made for each holiday. Whether it's the Marshmallow Peeps made for different holidays or other candies specific to any holiday, you can be sure I will buy at least one of them before the holiday is over. Well not too long ago, I found myself indulging on the Peeps chicks currently in stores as Easter approaches a week from this Sunday. But today I found myself in the mood for marshmallow Easter eggs that come in what look like egg cartons (the real eggs are sold in). They were 10 for $10 at Kmart today so I bought a carton and removed the plastic wrapping in the car in the parking lot before going home. I just now took the pictures and had already eaten half the eggs before then, as can be seen in the second photo. No, the ones I bought didn't seem to taste that way, at least not as far as I could tell. I'm glad, however I didn't think to let them "air out" or they might have been tasteless too. Not that they tasted like much expect marshmallows covered in chocolate. I know it sounds like I've committed gluttony, but I have now eaten all but tow of the eggs. They are still sitting in the carton. Last Sunday I went to see the new release "Hop," as I had planned to do. It was a quite fun blending of animation with live-action. It's quite fun and if you haven't seen it yet, I highly recommend doing so. Well before I ever learned about this upcoming release, however, I was stricken with a flashback to an old Easter special on TV. I couldn't remember what it was called so after Googling I found that the special was called "The Easter Bunny is Coming to Town." Ironically, my flashback to this special occurred last year just after Christmas and I decided to seek out this DVD before Easter rolled around this year. I added it the queue last week and received it today. While seeking info on this Easter special, I saw that it was a stop-motion special directed by Rankin-Bass, the team behind numerous stop-motion Christmas specials, including the classics "Rudolph the Red-Nosed Reindeer" and "Santa Claus is Coming to Town." This was one of only a few Easter specials produced by the team. Although the Christmas specials still get aired each year, this one seemingly has not been seen on TV since the early 1980s. It was released on TV in 1977, but apparently was rerun at least once in the '80s as I vaguely recalled seeing it when I was around 10 (that was in 1981). The Easter specials from Rankin-Bass are not as widely remembered as the Christmas ones. It's also been years since I saw the Santa Claus special, and I only have the vaguest recollection of that one. Perhaps I will queue the Santa one this Christmas, though I can probably expect a long wait on that one. Fred Astaire appears in the Santa Claus special as the voice narrator/mailman who receives several letters from kids asking about Santa's origins. In the Easter Bunny movie, hereprises the role, this time responding to letters about the Easter Bunny's origins. The Easter Bunny special is something of a sequel to the Santa one. The Easter Bunny is named Sunny (voice of Skip Hinnant) who, as a baby rabbit, was adopted by the citizens of Kidville (a town with all kids) and who began creating the various Easter traditions, such as dyeing eggs, jelly beans, and chocolate bunnies. He attempts to bring his creations to nearby gloomy town called simply "Town," similar to the "Sombertown" (where no toys are allowed) in the Santa Claus special. No children or flowers are allowed in this town and beans are the only food allowed. Sunny befriends the young king (the only kid in town) of the town who is smothered by is aunt who reigns over him. She tries to keep Sunny from coming to Town each year, but Sunny always finds a way back as he begins creating new Easter traditions. Overall, a good special and worth checking out if you're in the mood for watching something for Easter.